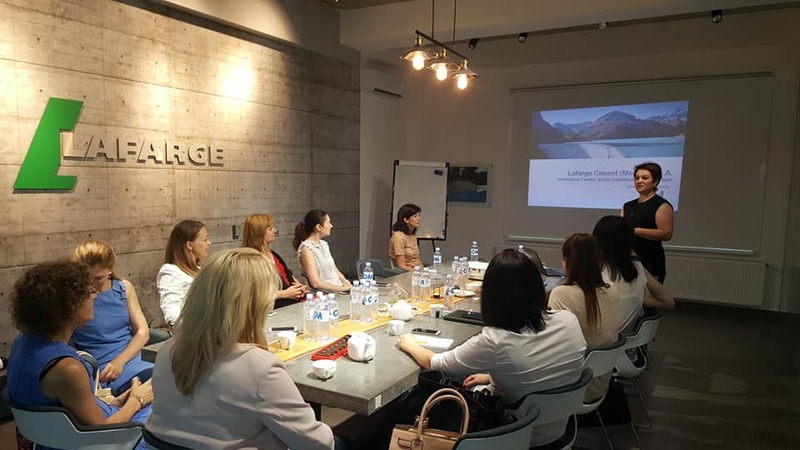 Last week, on a rainy Friday, AmCham HR Committee has reunited for an unusual HR session with Ina Sandu at the Lafarge Innovation Center. The meeting had a technical start, with a brief presentation of what Lafarge Holcim is and what it produces, followed by a session of sharing Ina`s experience gained over the years, numerous trainings and how it had a positive impact on employees and company`s activity. AmCham thanks Lafarge and Ina for hosting this unique session and looks forward to others to come!